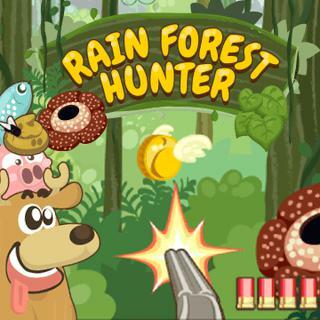 Play Rain Forest Hunter and more Arcade Games on Games1.com! Let's visit an imaginative rain forest and go hunting! Shoot cute flying piggies, fish and coins as fast as you can to get as many coins as possible. There's no need for hunting dogs - a trained moose helps you to collect your prey. Go to the shop to buy new bait and powerful weapons to be even more successful in the next round!